300 Days exploded onto the Front Range bluegrass scene in 2016 with their fiery, original tunes, handcrafted by a trio of veteran musicians. The powerful, take no prisoners vocals and gravity defying fiddle playing of Melissa McGinley (StereoFidelics), finely honed songwriting by mandolinist and guitarist Nick Dunbar (Mountain Standard Time) and tight rhythms of jazz-trained Dave “Pump” Solzberg (Fox Street All Stars) on upright bass have been electrifying audiences across Colorado. For being such a young group, 300 Days boasts the instrumental prowess, vocal harmonies and host of original material of a well seasoned band. 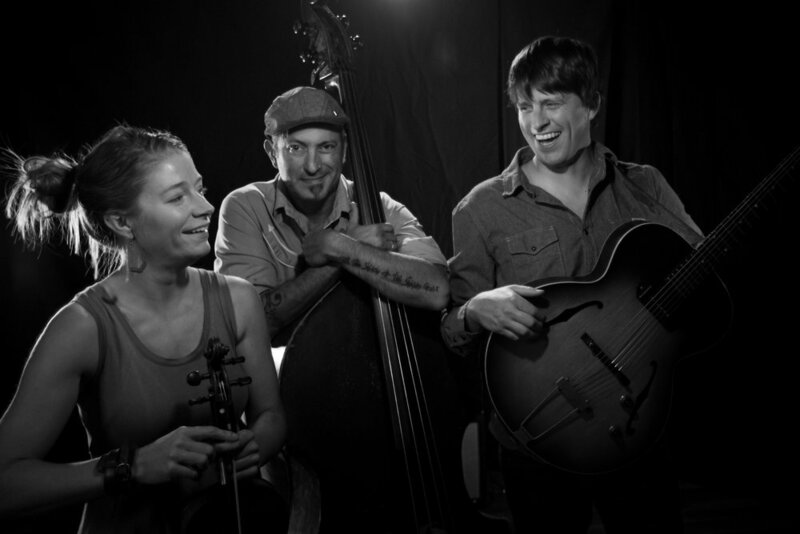 This Boulder-based ensemble combines their background in bluegrass, folk, rock, jazz and Americana into a sound they call “prograss” that will knock you off your chair and keep your toes tapping.